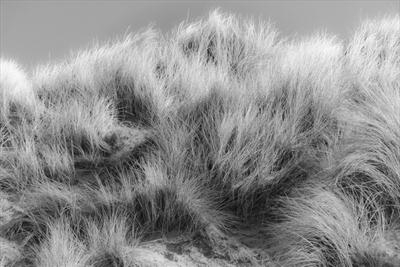 Jan Traylen: Marram Grass: A Landscape of Images. Ynyslas National Nature Reserve, Wales. Marram Grass blowing in a strong sea breeze leaving an impression of tufted hair.